The Simpsons Design Shower Side Panel comes with a lifetime guarantee and a ClearShield coating that makes this hinged shower door high quality and great value for money. 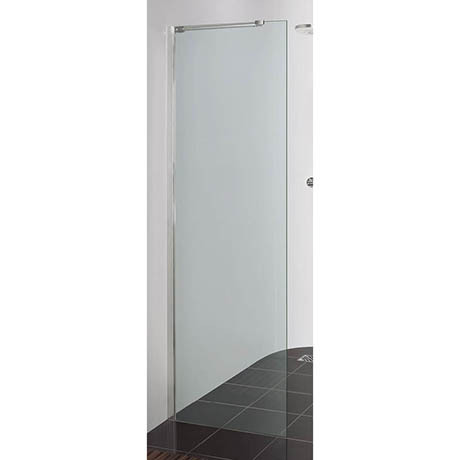 This side panel can be used in conjunction with the Design Hinged Shower Door with Inline Panel or Design Side Panel to create a walk in enclosure (sold separately). For improved stability, the 1100-1400mm Walk In Panels are supplied with a 90 degree angled bracing bar. Please note shower and additional panel sold separately. Hi Joe, this panel does come included with fittings so it can be fixed against a wall. It can also be used in conjunction with other side panels. Thanks. Hi, yes , this shower side panel can be used with a shower tray. Thank you for your question!